For EMS and Hospital. Thermal Angel disposables and the Standard Battery and Accessories. Great for EMS ground and ERs where weight is not important. Standard Emergency Pack (TA-SEP) comes with a visual assembly guide for simple setup. Designed to meet the specific needs of EMS and Hospital. The Thermal Angel Standard Emergency Pack (TA-SEP) is organized to make it easier for the caregiver to have the components that they need to serve their patients. The Standard Emergency Pack includes the Standard Battery which is larger (6.25 lbs.) and requires more recharge time compared to the Ultra Battery 1 (1.25 lbs. and faster recharge). 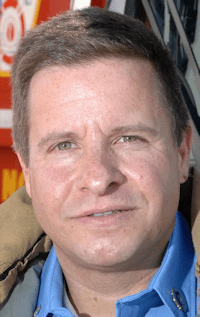 EMS ground and ERs are typical customers. Includes Qty. 4 Thermal Angels (TA-200). 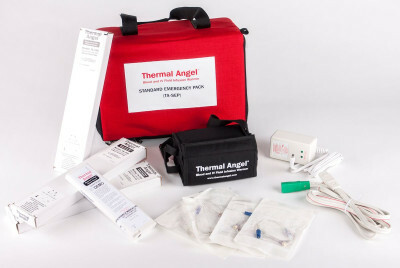 Pre-packaged Thermal Angel disposables along with the Standard Battery and Accessories. *Single patient use. Resupply Thermal Angel Disposable Emergency Pack (TA-DEP) as needed.